Need a Ride Somewhere in the Milwaukee Area? Airport Service Inc. has You Covered! Any taxi company can pick you up and drop you off. What sets Airport Service, Inc. apart is our drivers. Many have been working with us for decades. Respectful, trustworthy and always on time, they know Milwaukee like the back of their hand. Combined with our comfortable Lincoln Town Car taxis and affordable rates, there’s no better way to get where you need to go. Airport Service Inc., is your Milwaukee taxi and airport shuttle service connecting Southeastern Wisconsin and Northern Illinois to surrounding airports, hotels, events, and more. Airport Service, Inc. chauffeurs will pick you up from your home, hotel, or even street side in Milwaukee and get you to your destination on-time, every time. Airport Service, Inc is Milwaukee's transportation service you can rely on. Just sit back, relax, and enjoy the luxuries of chauffeured service with Airport Service, Inc.
Don't pay for expensive airport taxis. Call Airport Service Inc. for affordable rides to & from any airport! Airport Service Milwaukee specializes in airport to airport travel connections going to and from Milwaukee and Chicago airports, bus stops, and train stations. With Airport Service Milwaukee you are guaranteed the best rates on prompt airport to airport transportation service from Milwaukee to Chicago. Our drivers will always arrive on time, so you can arrive to your destination on time. 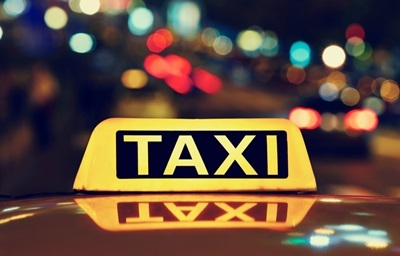 We pride ourselves on delivering the safest, most reliable taxi services in the area. Competitive pricing, flexibility, and reliable, on-time transportation services are what make Airport Service the best Milwaukee airport shuttle service. At Airport Service, Inc., we know traveling can become very stressful. We are dedicated to making your airport travel connection smooth and easy. Our professional services eliminate the excessive wait time, stress, and hassle associated with other Milwaukee airport connection services. Airport Service, Inc. will get you to your destination on time, hassle free. Where competitors may have you waiting for over three hours, our Milwaukee airport transportation services are prompt and efficient. Airport Service, Inc. will get you quickly on your way, whether you make a reservation or call once you land. With fast, affordable, convenient General Mitchell Airport shuttle service, it is no surprise Airport Service, Inc. is Wisconsin’s preferred choice for group airport to airport transportation. Going to Chicago O’Hare? Let Us Drive You! Many business professionals, families, and frequent travelers have used are airport shuttle service from Milwaukee to Chicago. To experience our airport shuttle services, give us a call – let us know the time and location to pick you up, and we’ll be waiting. Whether you’re getting picked up or dropped off at Chicago Midway, O’Hare, or General Mitchell (MKE), we service all locations 24/7. Transportation from the Milwaukee airport and any other airport in or near Wisconsin is what we do. Here at Airport Service, Inc. we are not your typical business or transportation service company. Most of our competitors aim to make money, regardless of the absence of integrity in their methods. Our goal is to give patrons exceptional service at exceptional prices. At Airport Service, Inc. we know what people want; to be catered to with accurate pickup times and affordable rates. We treat each customer well because that’s how we want to be treated when calling for transportation services. 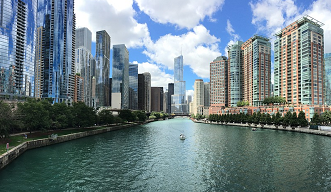 More than just Milwaukee and Chicago airport shuttle service, Airport Service, Inc. connects you to the entire Milwaukee metro area. At Airport Service, Inc., we know you don’t want to shell out a great deal of cash just to get from point A to point B. Our Lincoln Town Car and passenger van transportation prices are lower than other Milwaukee taxi transportation services—we don’t charge extra when you want to bring a cooler, grill, and duffel bag full of things to do while tailgating at the ballpark. From Brewer games at Miller Park to all night bachelor parties in downtown Chicago, we supply Milwaukee and Chicago transportation services to accommodate your specific transportation needs. At Airport Service, Inc., we provide convenient door-to-door, 24-hour taxi transportation service to just about any destination. Airport Service, Inc. conveniently picks you up from and drops you off at almost any location our vehicles can access. Call Airport Service, Inc. today for discounted out-of-town shuttle service rate to anywhere. When you’re flying with a group from Chicago O’Hare (ORD), Midway (MDW), or General Mitchell International (MKE), you need Airport Service, Inc. Your party will be picked up at the arrivals gate and dropped off on-time at your Illinois or Wisconsin airport. We’ll travel door-to-door in accordance with a precise, pre-planned itinerary, ensuring you and your travel buddies arrive with time to spare. Call us today to schedule our shared Milwaukee airport shuttle service. Headed to a Bucks' game at the new Fiserv Forum? Schedule a ride today with Airport Service Inc.
Airport Service, Inc.’s Milwaukee town cars offer you a convenient and comfortable way to travel. Simply give us a call or use our online contact form to schedule quick, dependable car service for your arrival or departure. Your driver will know the area and speak English fluently, ensuring a hassle- and confusion-free experience. Let us navigate the congested traffic. Our drivers know the shortcuts around construction areas, best utilizing all the drivable roadways the area has to offer. Contact us today for more information on our anxiety-free Milwaukee airport town car service. Affordable, luxury Milwaukee transportation service is just a phone away. Airport Service, Inc. offers you the best prices on reliable, on-time shuttle services taking you where you want to go, when you need to get there. Our team of Milwaukee taxi drivers provides exceptional transportation services throughout Southeast Wisconsin. We even venture into Illinois - a stressful and harrowing experience for most drivers. Luckily, Airport Taxi chauffeurs have impeccable driving skills, and don’t give into the road rage which runs rampant on the highways of Illinois. Arrive to O’Hare or Midway calm, cool and collected. We make traveling simple! From at home taxi pickup to airport shuttle service, our qualified drivers will ensure you get where you need to be, on time and in style. Bar hopping for a buddy’s birthday? All your friends flake out driving you to the airport? Rely on Airport Taxi Inc. to take care of you. 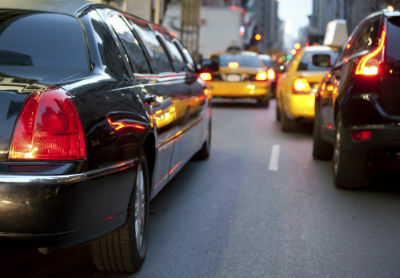 We offer convenient taxi services throughout Madison, Milwaukee and to Chicago area airports. We even have group transportation services available, featuring luxury vans capable of carrying up to 15 passengers. We even provide shuttle service to Green Bay for Packers games, or to Miller Park to enjoy America’s favorite pastime. Our customer service is unbeatable, and we charge a low, flat rate. See for yourself why people throughout Milwaukee have been turning to Airport Taxi for affordable, on time taxi services. Reservations are recommended, but if you’re in a pinch, give us a call and we’ll do our best to help! To experience luxury for less, contact the best Milwaukee Airport Shuttle Service (262) 574-5800 or online.